The first round of the Irish Cross-country mountain bike series was scheduled for 28 April and due to be hosted by Dromara Cycling Club. This race was due to double up as Round 2 of the Ulster cross-country series. Unfortunately the club has not been able to secure a venue for this event due to ongoing MTB event restrictions in Northern Ireland. The club has been working closely with the Cycling Ulster Off-road Commission and, while there has been some progress in resolving the issues, time is running out to secure permission. It is hoped that the club can be run a race next year. In the meantime the event will be have to be cancelled unless another club can quickly step in to host an event on that date. If you feel your club can help please email cross.country@offroadcyclingireland.ie. Banbridge CC hosts a super National Cross-country Championships at Castlewellan Forest Park. Report here. 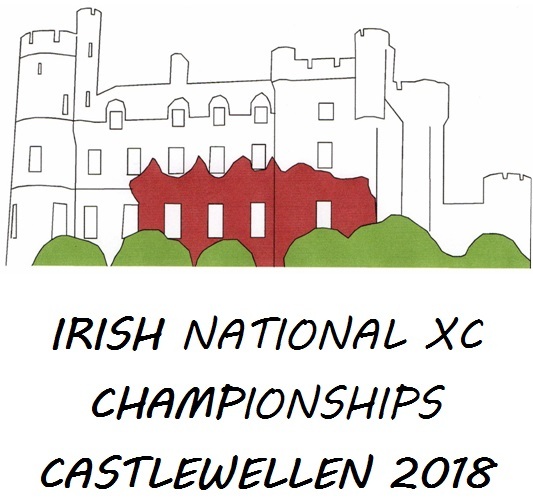 The deadline for entering the 2018 Irish National Cross-country Championships is Sunday 15 July 2018. For a link to the technical guide for the event, click here. Many thanks to host club Carn Wheelers for putting on a great event at Davagh Forest. Race report here. The final round of the Irish Cross-country Mountain Bike National Point Series (NPS) takes place on Sunday 8 July 2018 at Davagh Forest, County Tyrone hosted by Carn Wheelers. Details of the race and a link to registration can be found here. Blue skies and hot sunshine made racing tough at Tracton Wood for Round 4 of the NPS – see report here. 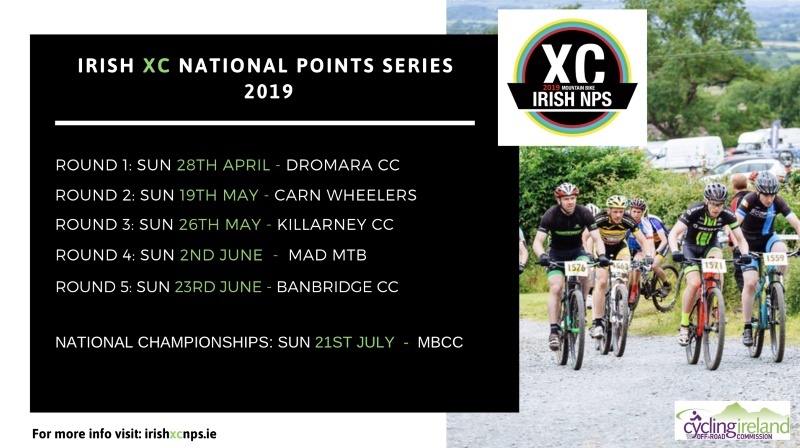 Round 4 of the National Point Series (NPS) takes place on Sunday 24 June 2018 at Tracton Woods Co. Cork hosted by MBCC. Click here for details. Round 3 of the NPS and more cross-country racing this time at Lady Dixon Park in Belfast. See report here.